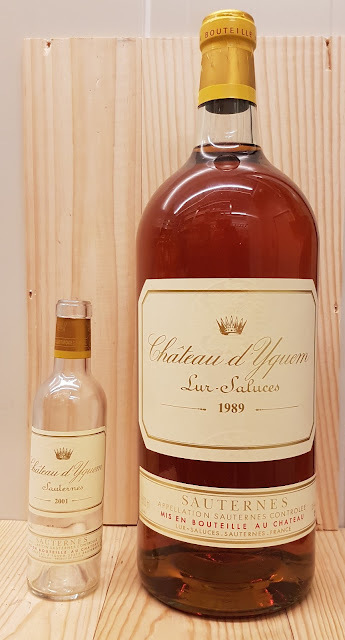 In order to design and order custom-made Gift boxes and Shipping boxes for the company, my management asked me to provide them with bottle dimensions. 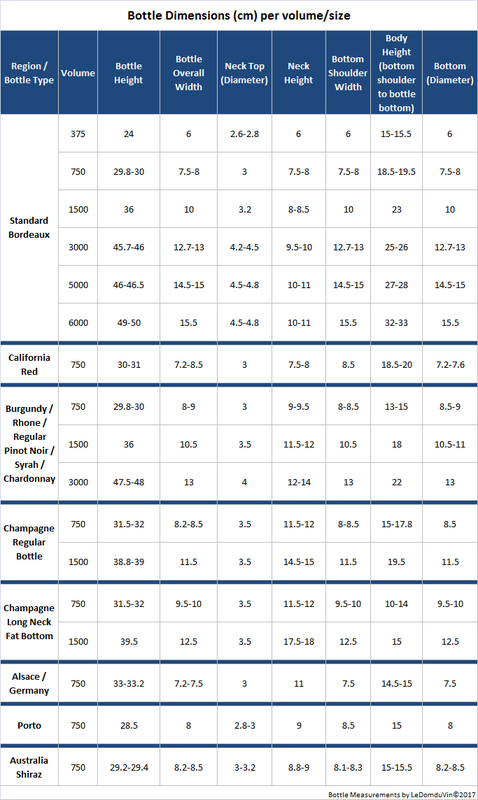 As always, I first browsed around the Internet via Google and found a countless amount of websites talking about bottle's volumes/sizes and their respective names (and their respective ratio of 750ml contained per volume) like within the following table, but rare were the ones really specifically detailing bottle dimensions. 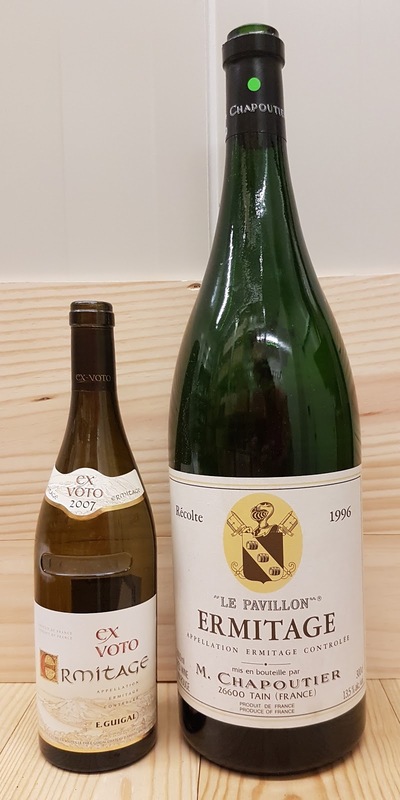 Therefore, I decided to write this post for those of you who might be in need for detailed information on bottles dimensions (height, Overall Width, Neck top, Neck Height, Shoulder width, Bottle body height, bottom of the bottle, etc...) and to create a table based on measurements of actual standard bottles of different formats from various regions that we have in our cellars. 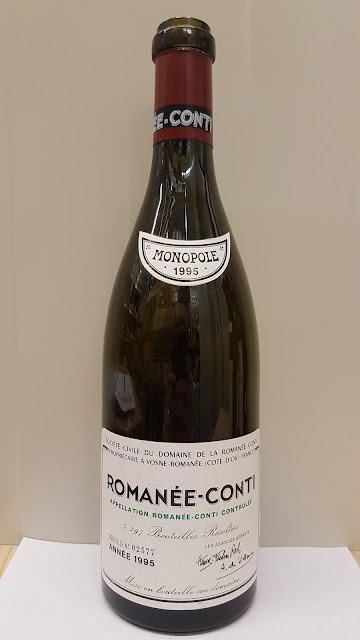 In fact, quite a few websites are showing you pictures of different bottles with or without dimensions, but not detailed enough, and other websites are too technical and do not necessarily offer a listing of the dimensions like in my table below (easy to see at one glance rather than to have to browse around various pictures or web pages). 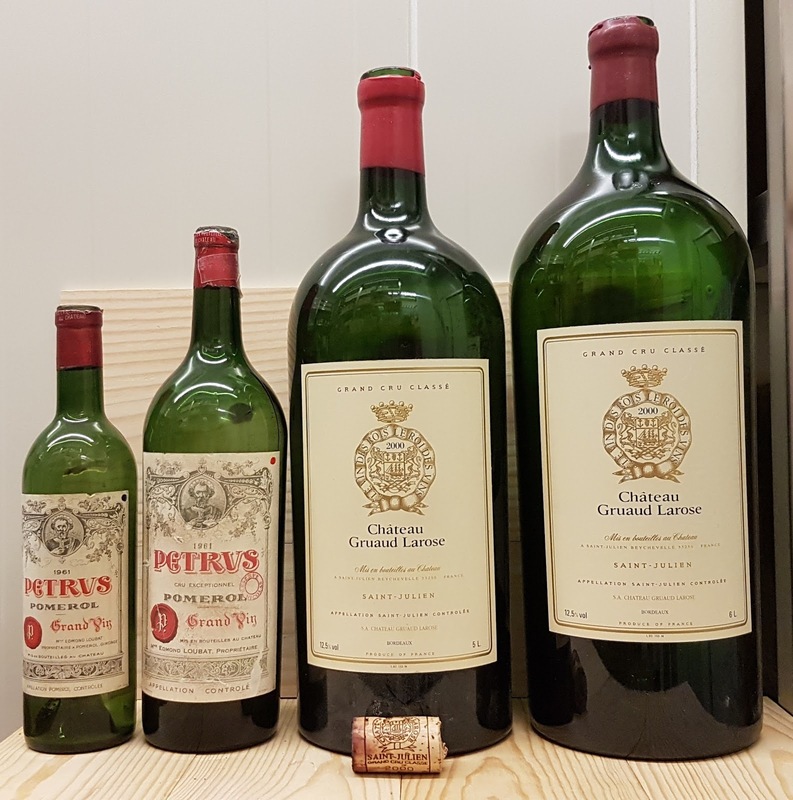 So as usual, unsatisfied by my search results, I decided to take the measurements of the bottles that I had on hand at the office and in our cellars and created the following easy to read "Bottle Dimensions" table. I decided to post it on my blog as I think it that, maybe, it could be useful for some of you in need of these kinds of details. 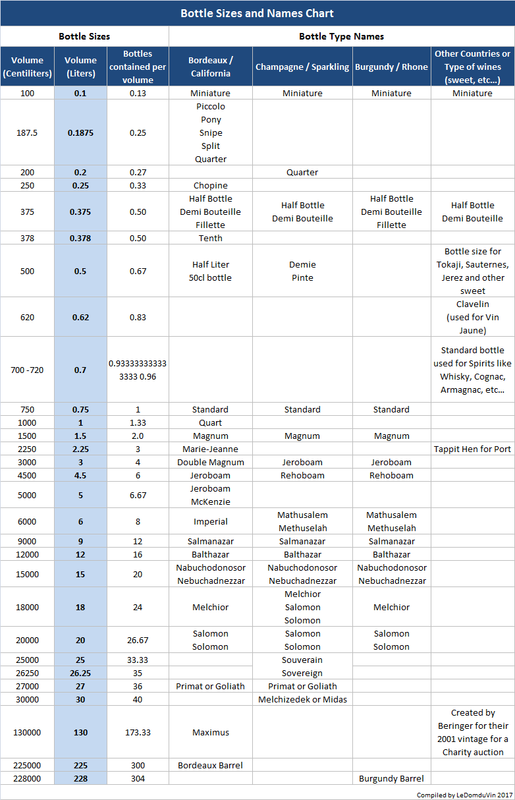 You see, I always go by the principle that if I'm looking for something and can not find it on the Internet, then at least one person in the world must have the same issue as me and thus, for this particular subject of Bottle Dimensions (measurements of sizes and formats), might be interested to find the kind of detailed table I did below. The measurements are mostly "ranges" due to bottle dimensions variations, as I could not create a table for each unique specific bottle (which could prove impossible as there are so many shapes and forms and sizes of wine bottles). Therefore, the variations ranges apply to the most common bottles found in the market. 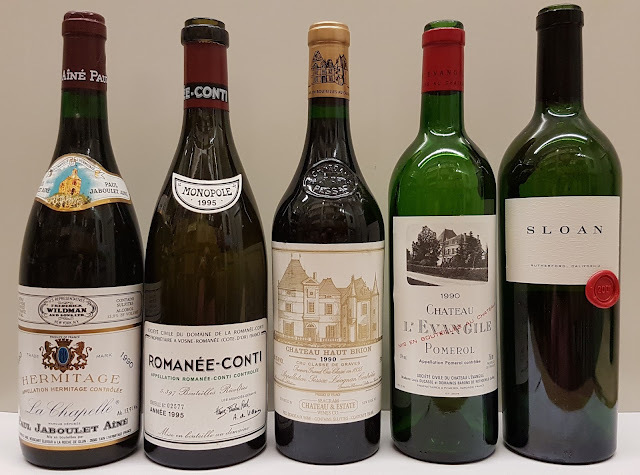 So called "standard" bottles. 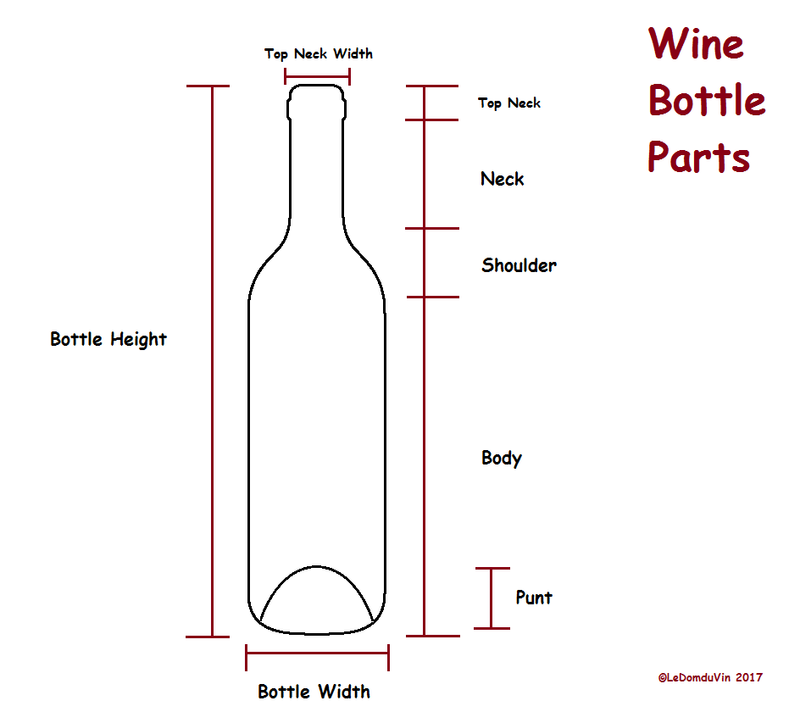 Consequently, the measurements of the bottle "Body" are approximate and may vary depending on your own judgment, yet it is roughly measured from the bottom "Shoulder" to the bottom of the bottle. I took a few pictures this afternoon while measuring the bottles at the office and in one of our cellars to show you the bottle's shapes and sizes differences . Voila... Hope it will maybe help some you. Thank you Rene for your comment.